Todd Young is a professor in the Department of Mathematics at Ohio University. 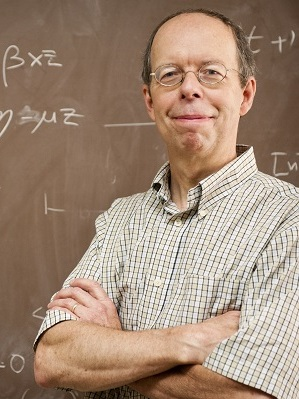 His research interests are differential equations and dynamical systems, especially global bifurcation theory, random dynamical systems and applications to biological systems. These notes were developed for a course on applied numerical methods for Civil Engineering and Mechanical Engineering. 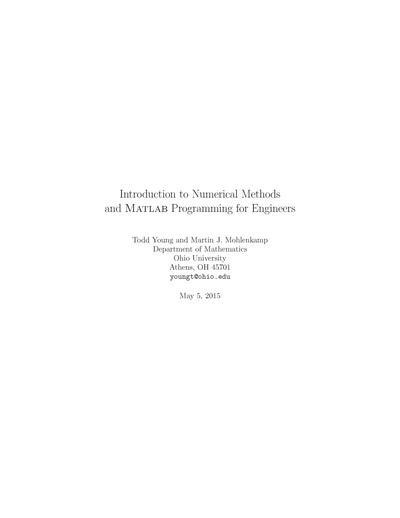 The main goals these lectures are to introduce concepts of numerical methods and introduce Matlab in an Engineering framework.